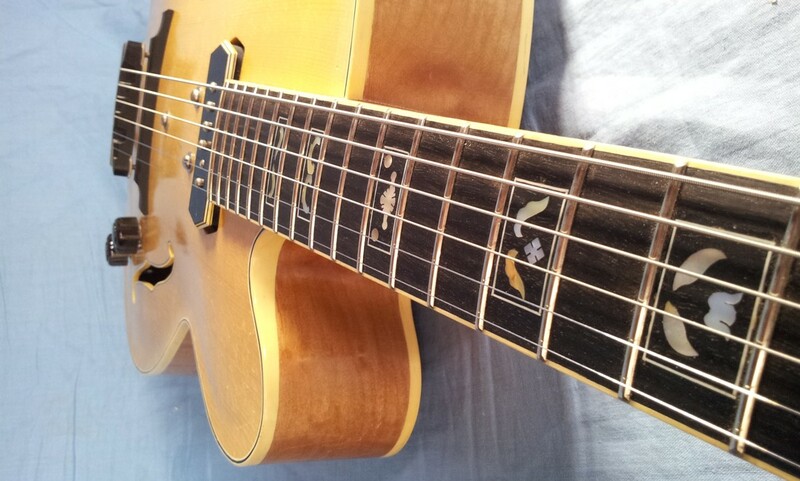 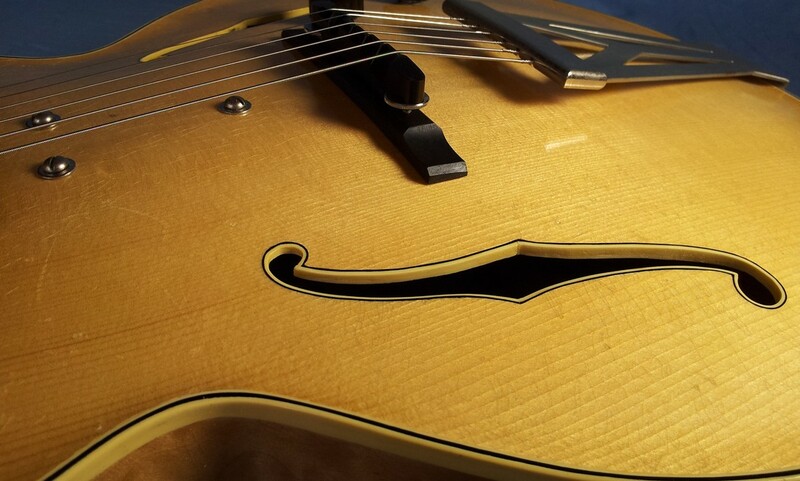 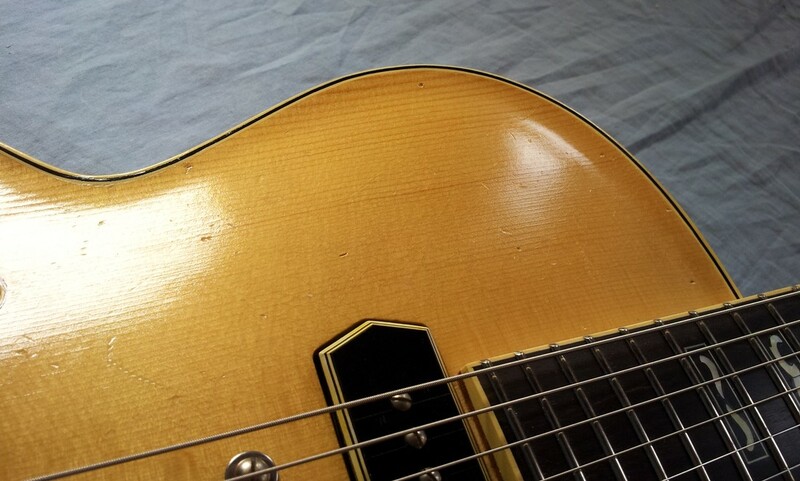 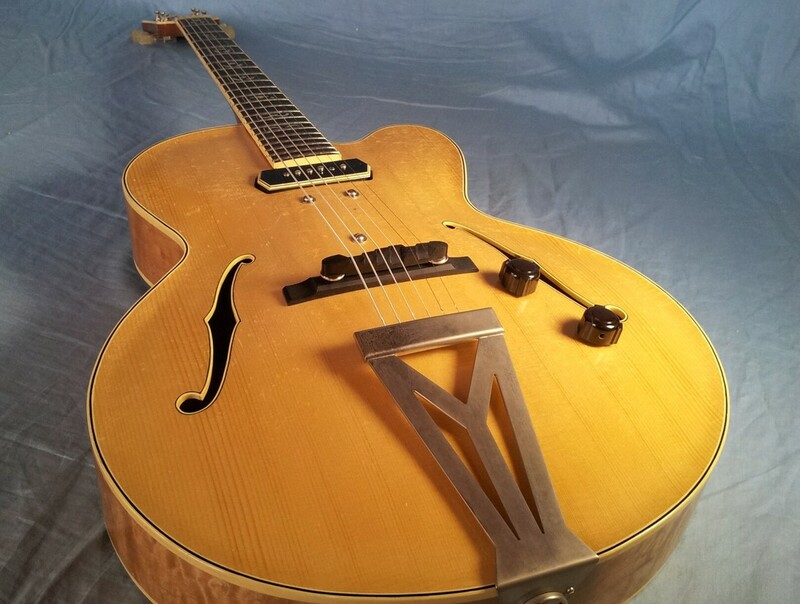 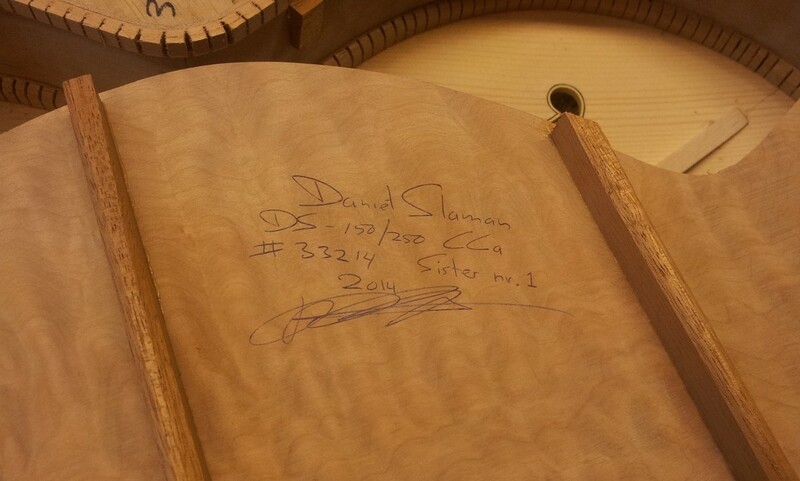 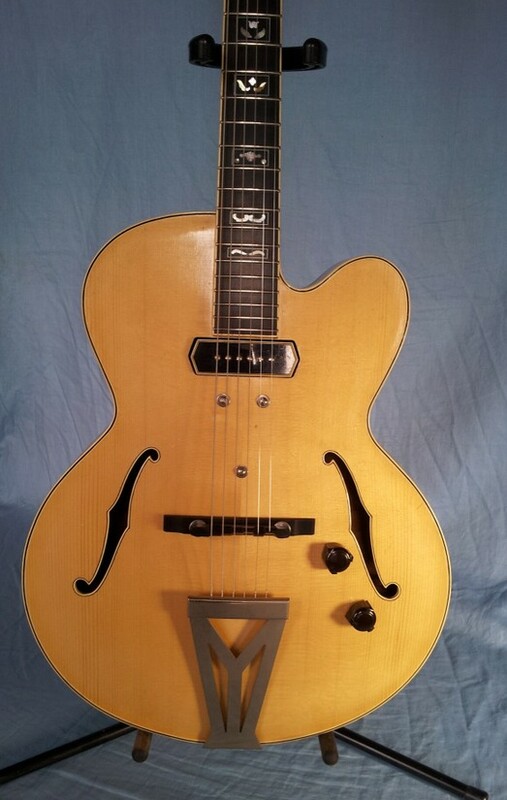 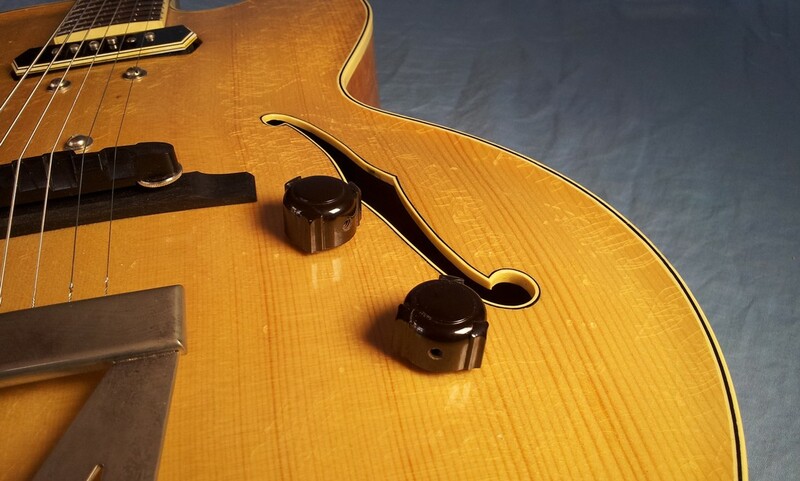 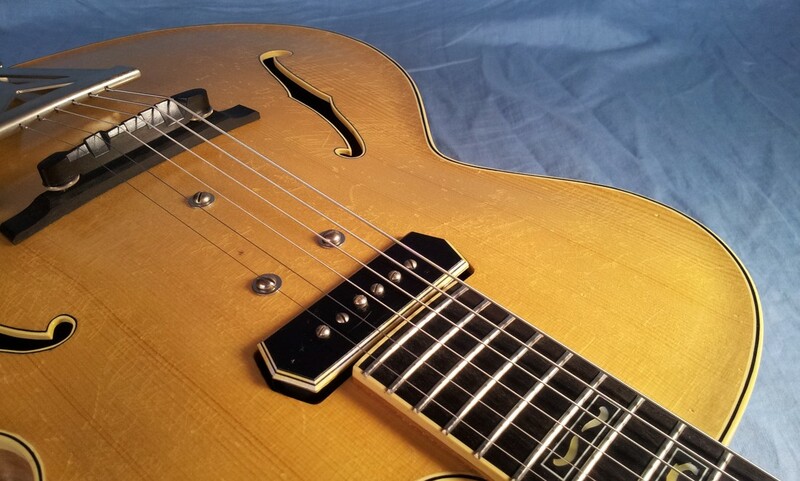 The Sister 1 guitar, # 33214 was made right alongside the guitar made for Pat Metheny ( # 33114). 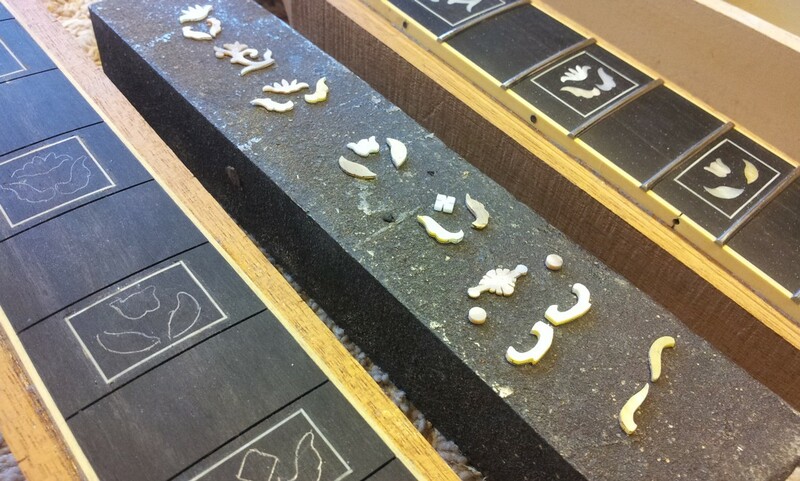 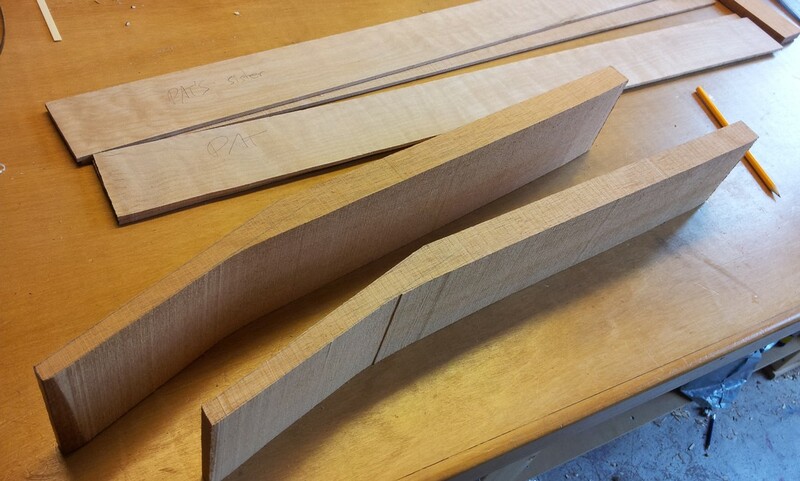 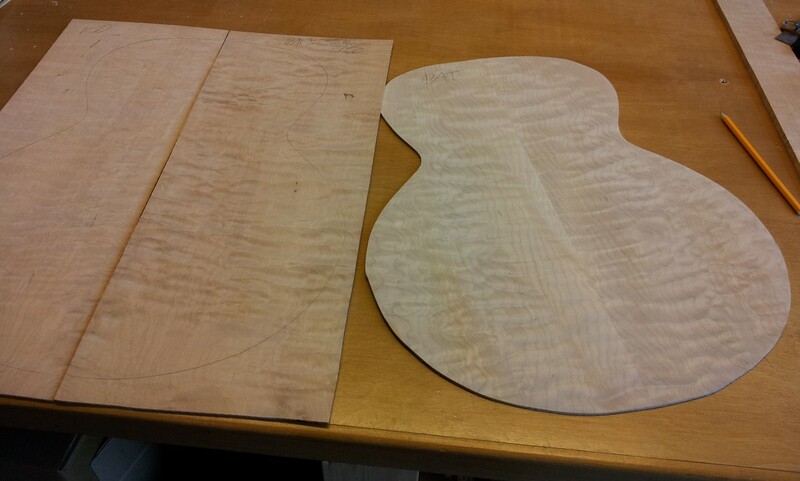 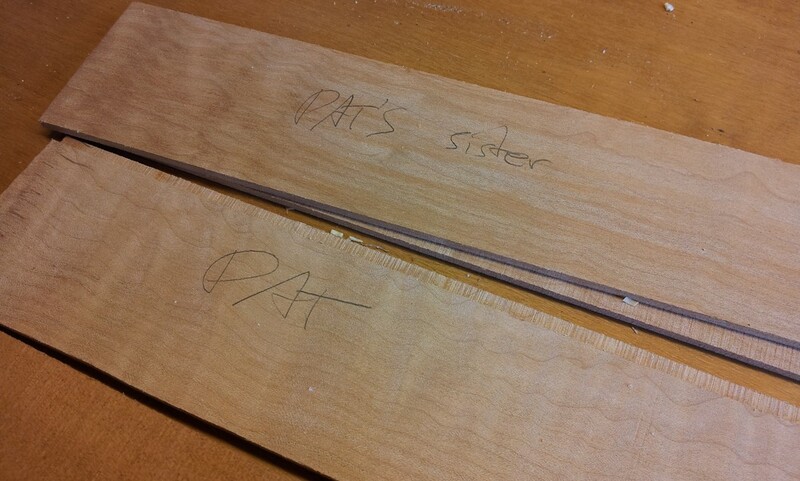 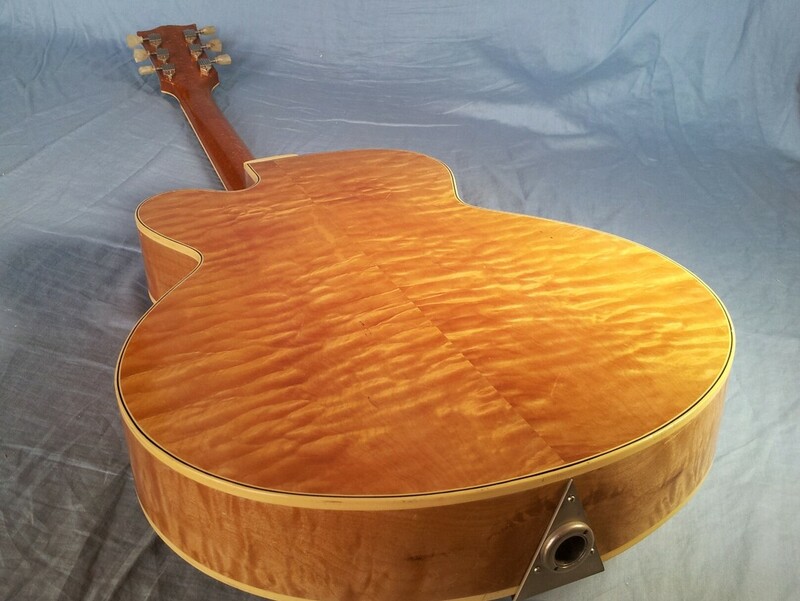 Sharing the same types of wood, the mahogany of the neck being from the same board as Pat's guitar. 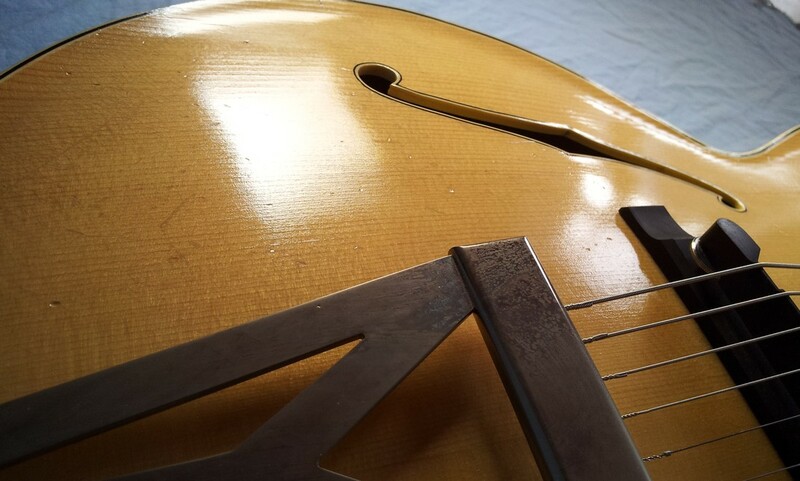 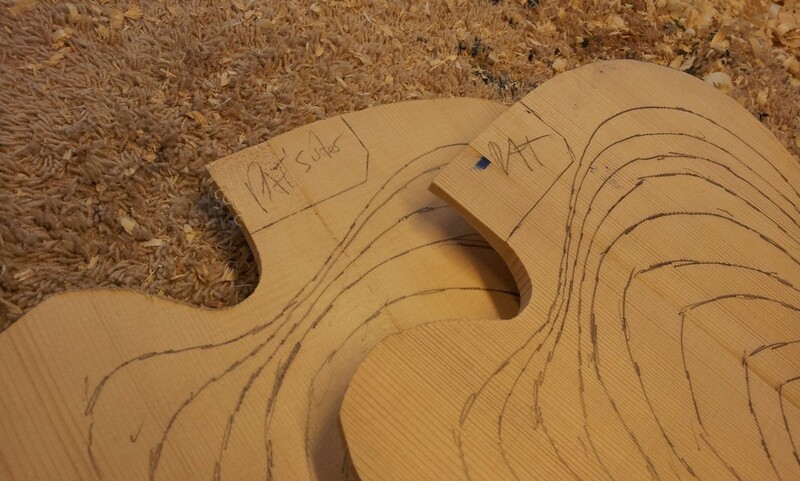 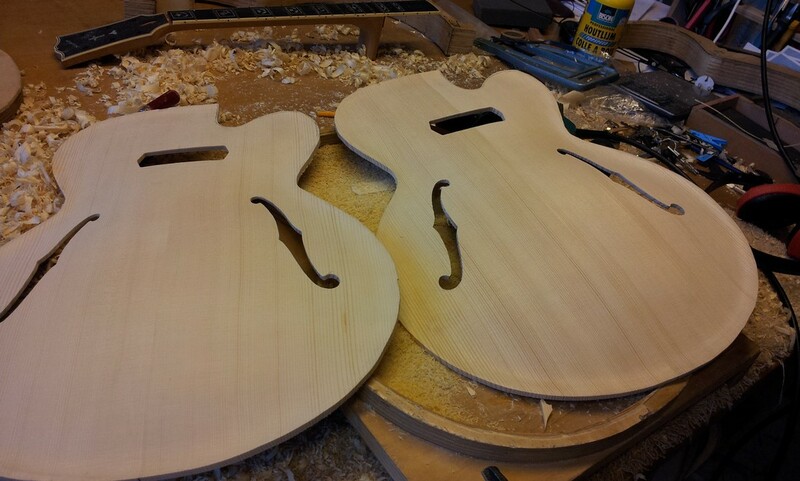 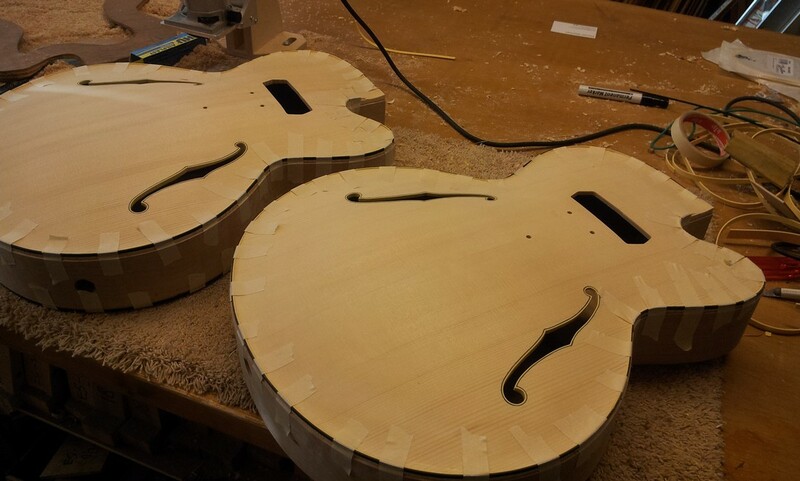 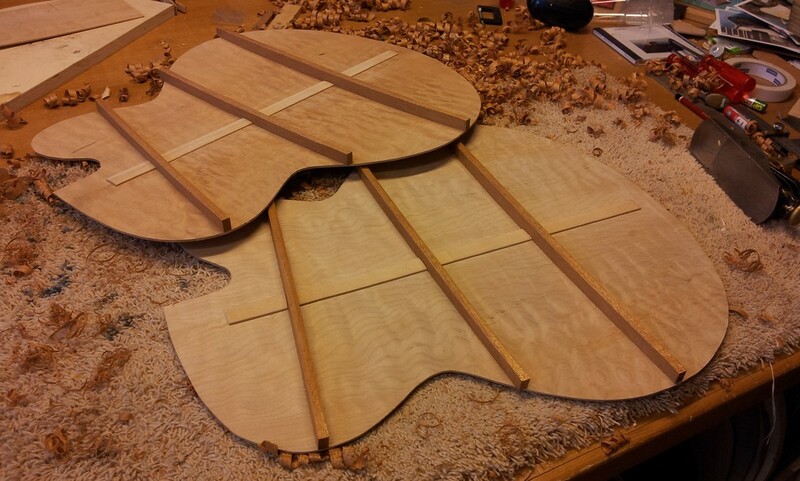 The building of both guitars is documented in pictures. 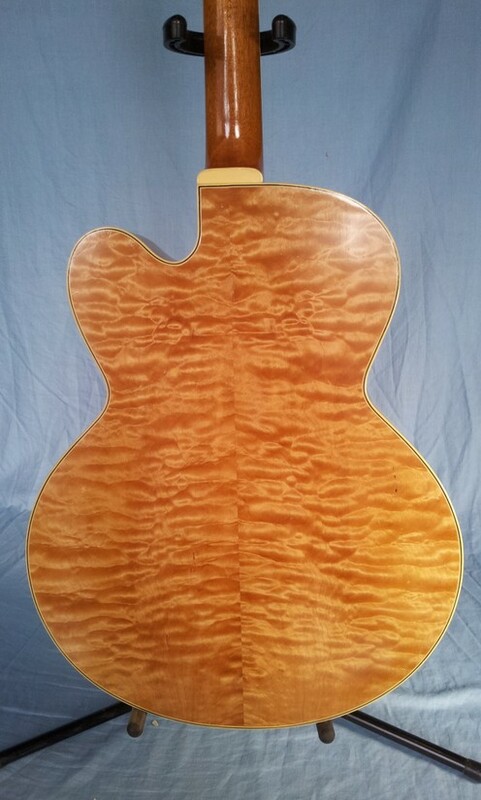 Sister 1 is a 16 1/4 inch blonde guitar, cutaway, picture frame inlays handcut by Daniel in ebony 10 inch radius fingerboard, 24 3/4 inch scale, Honduras mahogany neck with soft-V profile and 22 frets, Charlie Christian Adjustable pickup, carved European spruce top, quilted maple back with braces, unique handmade nickel plated tailpiece, Kluson waffleback tuners and 'Betty' style antiqued finish.